Our Numbers Count teacher has shared her expertise with colleagues and had a positive effect on a large number of children across the school, well beyond those in the intervention. 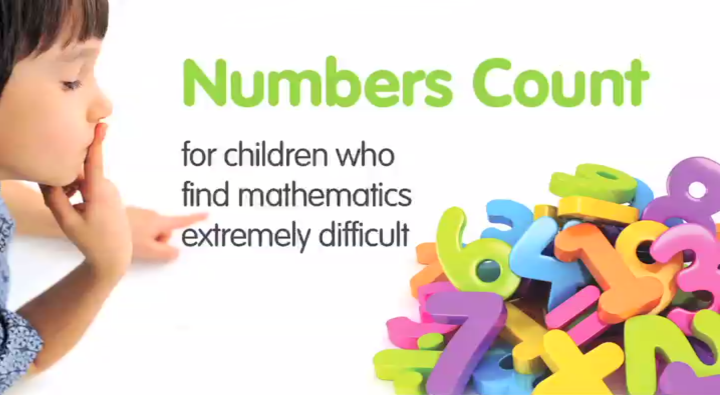 Numbers Count transforms mathematics for the lowest achieving learners AND raises standards for all the learners in your school. A specially trained Numbers Count teacher gives learners at least three 30-minutes lessons a week for a term, individually or in twos or threes. After a detailed diagnostic assessment, the teacher plans a tailored programme for each child. Rigorous, active lessons focus on number and calculation, helping learners to develop skills and attitudes that will ensure good progress in class lessons. The teacher liaises with parents and shares their specialist knowledge with colleagues informally and through structured CPD, raising standards for all learners. A Numbers Count teacher-in-training can begin to teach learners after the first two training days. Over 55,000 pupils in Years 1 to 11 have been supported by Numbers Count in 2,500 schools. They made an average Number Age gain of 17.5 months in only 4 months – over 4 times the expected progress. 96% of them showed more confidence and interest in learning mathematics in class after Numbers Count. 74% of pupils went on to achieve national expectations at the end of Key Stages 1 and 2, despite not being originally predicted to do so. Access to the ECC data system, providing detailed analyses of impact and learners’ progress – see sample reports here. Each local provider determines their own charges to schools depending on local circumstances, the charge for 2018/19 for a new Numbers Count teacher will be in the region of £2,200. Schools can access Numbers Count from local ECC providers. Find your local provider here. Download guidance on preparing for Numbers Count before your staff start the training. Download a flyer about Numbers Count. Watch a Numbers Count clip here. Download information about continuing Numbers Count training here. Where programmes such as Every Child Counts and Numbers Count were used effectively, pupils overcame their misconceptions and the school used information about its pupils’ misconceptions to adapt teaching for subsequent cohorts.